Women and men’s swimming is currently gearing up for the Sunshine State Conference (SSC) and NCAA championships coming up this semester. Over the break, the women’s team continued to dominate and have remained undefeated. The Men’s team has also lead their season with only two losses. Over the break, both teams continued to compete while swimmers on each team earned titles within the conference. Sophomore Hanna Van Loock and Freshman Cat Sterlacci were named SSC Swimmer of the Week on two different occasions throughout the winter break. Juniors Brett Saunders and Aaron James were also named SSC Swimmer of the Week for the men’s team. Saunders also broke the school record for in the 200 Breaststroke finishing with a time of 1:59.39. The former record stood since 2002. With nine games left until the SSC, men and women’s basketball continues with the regular season. Both teams continued to compete as the winter break ensued. 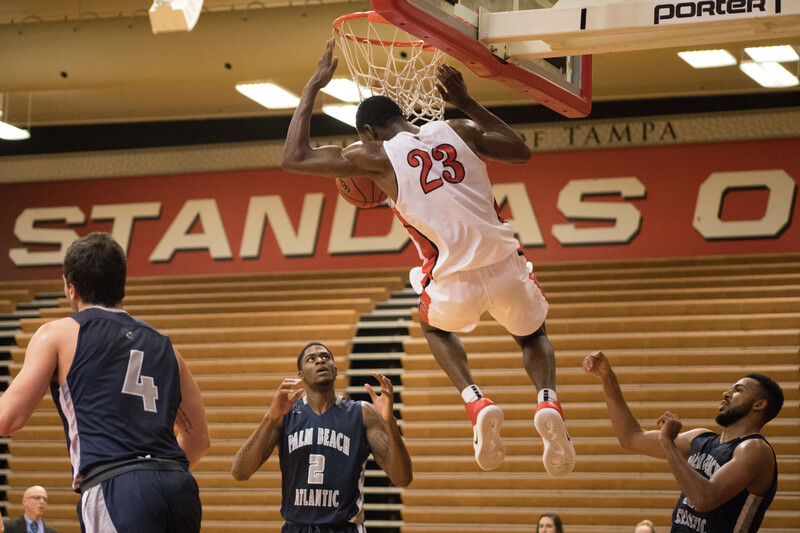 Men’s basketball accumulated four wins against Limestone, Shaw, Embry-Riddle and Rollins. After defeating the Rollins Tars, Tampa held a 66-36 advantage in the all-time series, which dates back to 1961. This was the second straight win over Tars from the Spartans. The women’s team won seven games over the break against Texas Woman’s, Palm Beach Atlantic, Rollins, Saint Leo, Lynn, Eckerd and Barry. They lost three games against Findlay Embry-Riddle and Nova Southeastern. Senior Staja Tyghter has been a bright spot for the women’s team. Tyghter has recorded double-digit scoring in the last 18 games, averaging 14.2 points per game on 47 percent shooting. Tyghter recorded her season high 20 points in a 64-62 win against Barry last Saturday. At the end of last season the volleyball team became National Champions after defeating the Western Washington University Viking. This is the team’s third title and the 16th overall NCAA championship. Junior Sammy Mueller was awarded player of the year. Sophomore Katie McKiel, Senior Alexandra Misca and junior Taylor Fosler were named to the All-Tournament team. Today, Jan 30, the volleyball team will be unveiling the 2018 national championship banner during the halftime of the men’s basketball game against Florida Southern at 5:30pm.